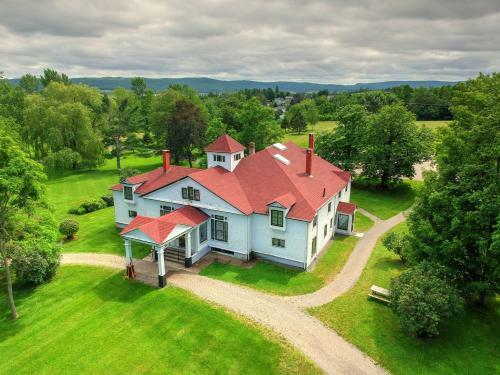 During Haliburton’s time and later with subsequent owners, the Clifton house and grounds have undergone so many changes that the Haliburton family might have difficulty recognizing it as their original one-and-a-half story cottage. Clifton, print by William Bartlett, published in 1842. Nova Scotia Archives. 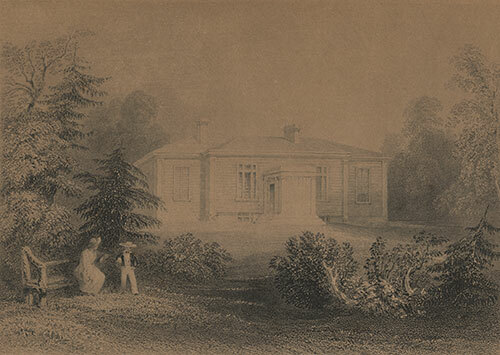 The house, although a much smaller but equally stylish cottage when first constructed in 1837, was a rural haven for a gentleman and his family, as was the fashion in England and New England at the time. The style in which Clifton was built suggests a strong separation of public and private areas. The drawing room, library, and dining room were prominent for entertaining. The kitchen, offices, and bedrooms were situated on separate floors and more private. Haliubrton built an addition to the house in 1851, although the details of the work done are unknown. 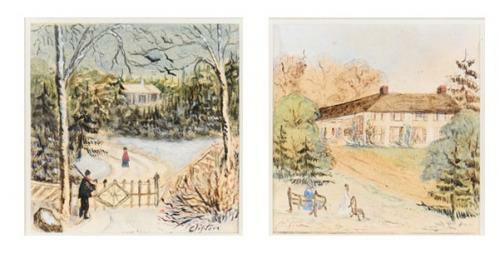 Few architectural drawings exist today showing of the changes in Clifton over time, however some of the earliest images of the house are watercolours believed to have been pained by Haliburton’s daughters. In 1856, Haliburton sold Clifton to James P. Pellow, a resident of Windsor who had made money in the California Gold Rush. Pellow made few changes to the house and lived there until his death in 1871. 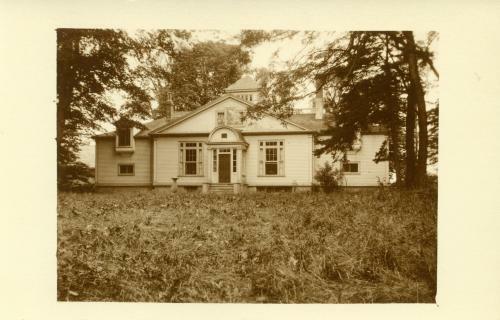 The next owners included Senator Ezra Churchill of Hantsport, who would pass on the property to his two sons. The Churchill family are said to have removed the white marble fireplaces and crystal chandeliers from Clifton and made several exterior changes. 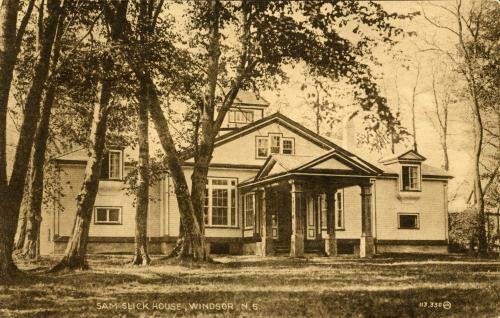 In 1904, the house was turned into the Sam Slick Hotel. This resulted in an extension with 10 bedrooms being added to the east side. The hotel was not financially successful. Clifton, circa 1904. Hotel extension can be seen behind trees on left side of house. NSM 89.81.18. In 1913, the house was leased by Beckles Willson who made considerable “improvements” that included adding a porch roof, dormer windows, and a room on the east side. Evidence of a fire during this time, which caused minor damage to the house, can still be seen in the charred timbers in the attic today. Clifton, circa 1923, with new porte-cochère. NSM 89.81.17. The final private owner, Norman Corstophen, added a new raised roof, which evened out the previous collection of small room peaks and valleys, as well as the porte-cochère (carriage porch) to the main entrance. When Clifton was purchased by the Province in 1940 to become a museum, some steps were taken to restore the house to Haliburton’s time, including removal of the hotel wing. A series of models made by architectural historian Allen Penny which document these architectural changes and are on display at Haliburton House Museum today.